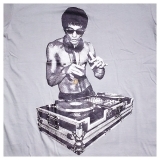 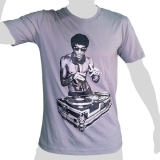 Stone cool: Bruce Lee as a Turn Table DJ. 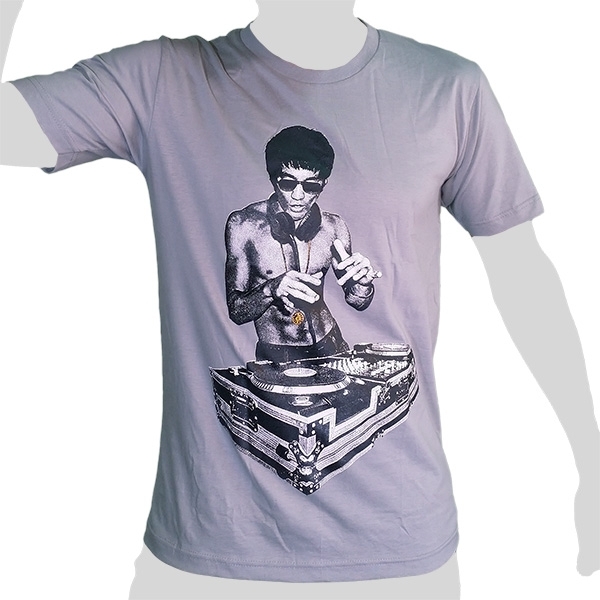 This is what he might have looked like if he was born in the late Seventies - maybe! 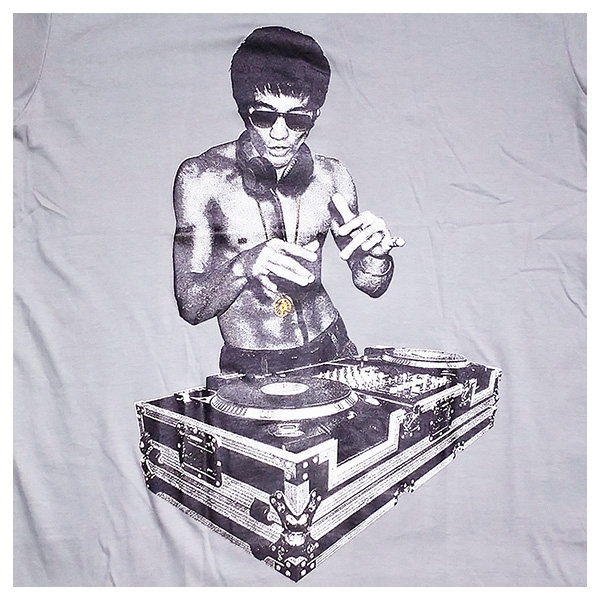 Few people know, that Bruce Lee atually was a competitive Cha Cha dancer. 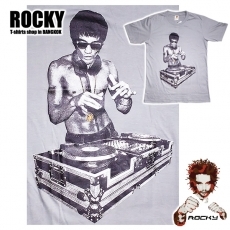 The fast dancing footwork indeed helped him later when he was fighting Kung Fu. 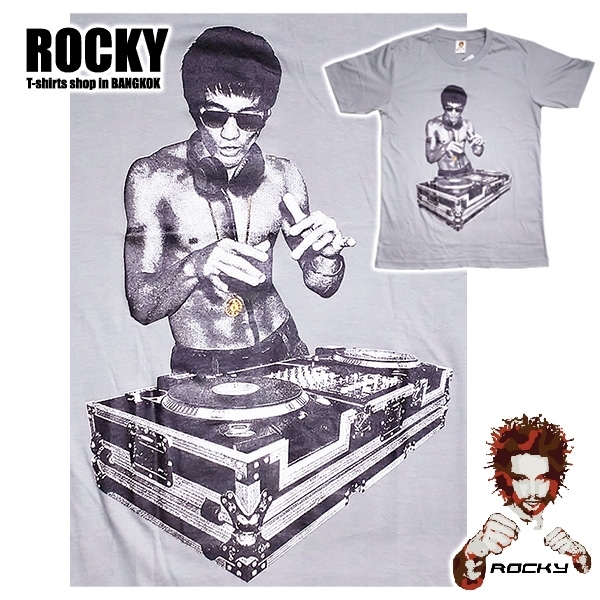 So maybe he really was also secretly a turn table DJ and the DJ handwork later helped him... Rocky Shirts - poetic, smart, original, funny!